Glass-bottomed sky pool, suspended 115 feet in the air, in London, UK. Amazing transparent “sky pool” that will make swimmers feel like they’re floating through the air in London. 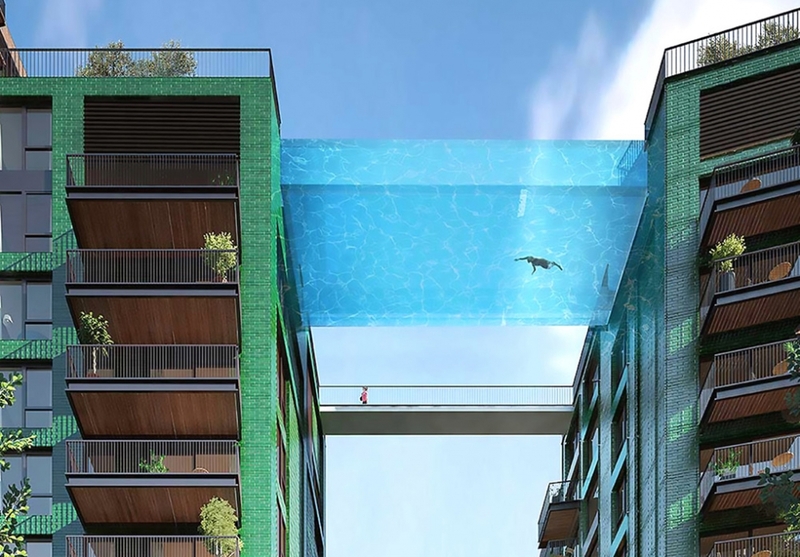 Described as the “first of its kind in the world,” the daring sky pool is suspended 10-stories high between two apartment buildings in the Embassy Gardens development. The 82-foot-long swimming pool is enclosed with 8-inch-thick glass to give swimmers an unrivaled view of the streets of London 115 feet down below.